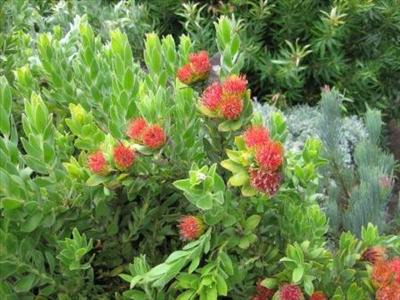 Evergreen, showy, compact shrub to 6' with 4" bright yellow pincushion flowers that age to orange-red in spring. Grows in white sands in its natural habitat. Flowers best in full sun. 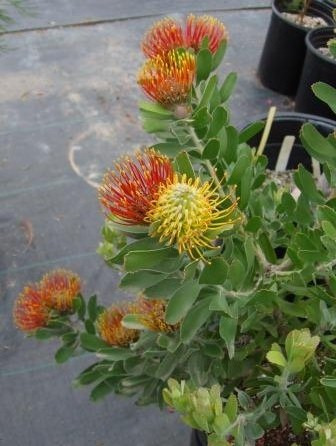 Excellent cut flower or landscape specimen. Great for container growing. Useful as a screen in hot dry areas.